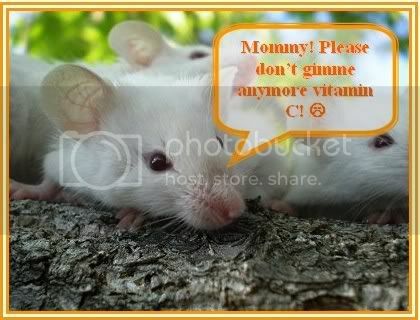 Attention Please Life-Style Shocking Vitamin C Could Shorten Our Life! Vitamin C Could Shorten Our Life! 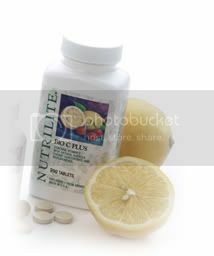 Researchers at memorial Sloan-Kettering Cancer Centre in New York studied the effects of vitamin C on cancer cells. As it turns out, the vitamin seems to protect not just healthy cells, but cancer cells, too. 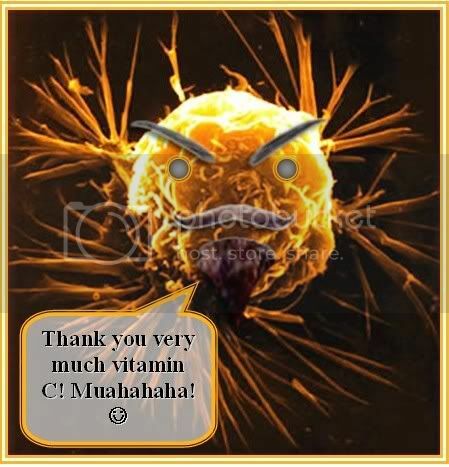 Meaning that Vitamin C is actually increasing the pace of cancer growth? Heck, then consuming vitamin C when one is down with cancer is like killing oneself directly unconsciously! Let's see what the vitamin C's advocates have got to say right now? Let me guess: consume more? Is this still safe for us? According to Dr. Mark Heaney, the use of vitamin C supplements could have the potential to reduce the ability of patients to respond to therapy. Dr. Heaney and his colleagues tested 5 different chemotherapy drugs on cancer cells in the laboratory. Some of the cells were treated with vitamin C. In every case, including a test of the powerful new cancer drug Gleevec, chemotherapy did not work as well if cells had been exposed to vitamin C!!! The chemotherapy agents killed 30% to 70% fewer cancer cells when treated with the vitamin. Now, that's really, really shocking! Yeah! Now he (cancer) has the last laugh! One final blow: The researchers also found that just like healthy cells, cancer cells also benefit from vitamin C. The vitamin appeared to repair a cancer cell's damaged mitochondria, the energy center of cells. When the mitochondria is injured, it sends signals that force the cell to die, but vitamin C interrupts this process. Again, Vitamin C is being so kind & helpful here. Instead of letting the cancer cell die, it actually revive the evil cells allowing to grow. So is Vitamin C is still safe for our consumption? I don't know...but the answer is an obvious NO right? It's not fair for me to say anything. Hopefully the experts could clarify about this soon. So you guys better be careful with the supplements that you are taking. 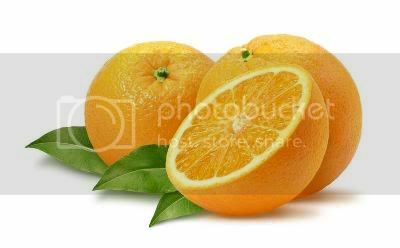 And please don't give you families and friends who have cancer consume these lethal killer-vitamin C! Personally, I believe Vit C is good for health BUT only if you take it from the fruits and vegetables, and NOT from pills. Because the Vit C in pills are actually extracted from plants and food, making it an isolated structure that our body do not accept very well. What makes the scientists think that only Vit C is good, and that it works in isolation? There are thousands of phytochemicals in natural fruits and vegetables and they single out only one that is, Vit C? I believe Vit C works with other as yet unknown phytochemicals in the food to give us the health benefits. This blog post is extremely good for readers. I am a regular reader of this blog. It fascinates me about the Hyderabad Escorts and tells about their true story. 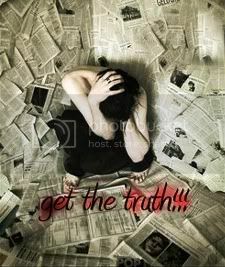 This tells about their personal life in the Indian society and their profession and I am greatly overwhelmed.